I’m slowly making progress with the Horus Heresy series once again, having recently finished reading book 17 in the juggernaut of grimdark novel series, The Outcast Dead. 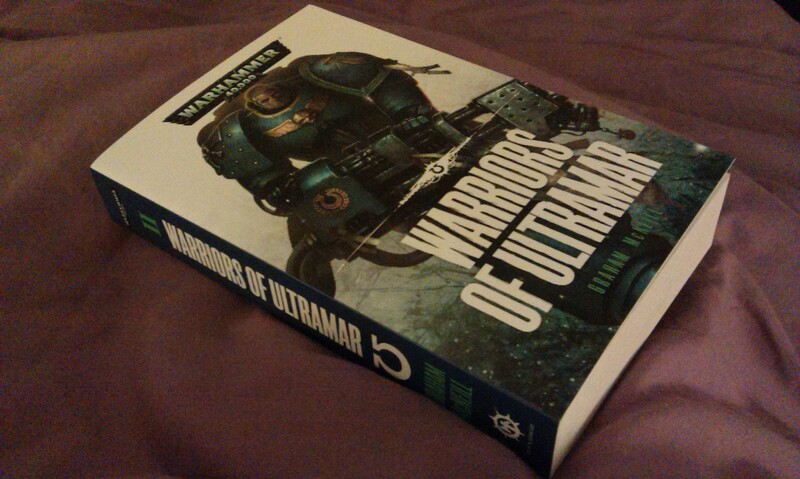 It’s probably important to note that I’ve skipped Prospero Burns for the time being, as I’m not interested in Space Wolves (even if it is Dan Abnett at the pen), and have saved the short story compendium Age of Darkness for another time. The Outcast Dead is a very weird book, one that alternately fascinated me and annoyed the hell out of me. 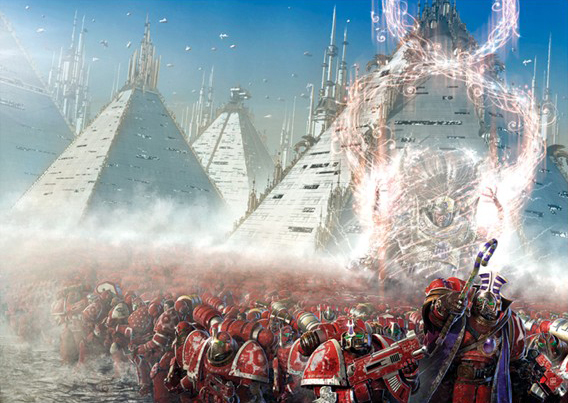 First of all to note, this is the first time a Horus Heresy novel takes place entirely on Terra. We follow the broken astropath Kai Zulane as he returns to the City of Sight for reconditioning, following a catastrophe aboard the Argo, a ship in the employ of the Navigator House Castana. Kai and the ship’s Navigator, Roxanne Castana, are the only two survivors of the tragedy, which saw a warp storm rip the ship apart, demons spilling into the ship and killing the entire crew. Roxanne herself has taken refuge from her House, who wanted to make her a scapegoat for the loss of the ship, at the Temple of Woe, a strange place near the Imperial Palace where people basically bring their dead for incineration. The bulk of the first part of the novel deals with Kai Zulane and Roxanne alternately, and we get some insight into the working of the Adeptus Astra Telepathica at this time. 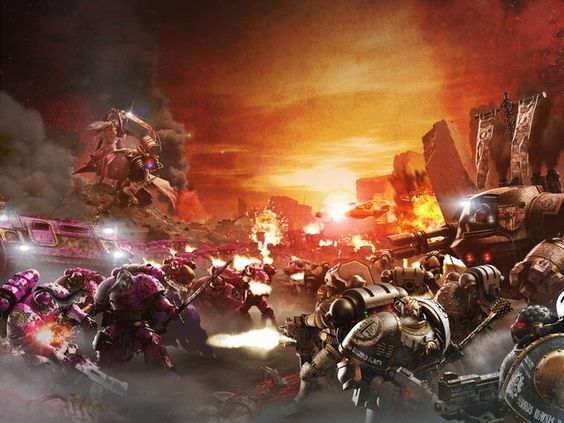 However, when Magnus makes his ill-fated psychic attempt to warn the Emperor of Horus’ betrayal, the psychic shockwave is felt across Terra, and millions are destroyed by the warp spawn that manage to break into reality. During this incursion, Kai Zulane is given forbidden knowledge about the future that is deposited within his centre of guilt over what happened to the Argo, and he is incapable of accessing that knowledge until he has faced what happened. He is taken to the Custodian Guard, who attempt to break the information out of him, but at this time a group of powerful Space Marines imprisoned within the Custodians’ dungeons make their escape attempt. Led by Atharva of the Thousand Sons, and including three World Eaters, a Luna Wolf, a Death Guard and an Emperor’s Children, the “Outcast Dead” break out, picking up Kai in the process, but their stolen flyer is shot down in the Petitioners’ City, a vast slum close to the Palace. The Marines are tracked along their way, and come up against the local ganglord Babu Dhakal, who turns out to be a Thunder Warrior that has inexplicably survived the Wars of Unification, and attempts to capture the Marines in an effort to use their geneseed to help prolong his life. In a battle with the Babu’s enforcer Ghota, two of the Marines are killed, and so the remaining Outcast Dead take their bodies for disposal in the Temple of Woe. There, the Custodians catch up with them, and after a bloody battle, all of the Marines are killed, with the exception of Saverian the Luna Wolf. Kai, reunited with Roxanne, begs the Navigator to use her third eye’s power to kill him, to stop any further abuses of his body and mind in the effort to extract the knowledge of the future. The book is weird, mainly because it takes place in the weird realm of the psychic. The astropaths and other folk at the City of Sight are all slightly odd, and a clear sense of other-ness really pervades the book. 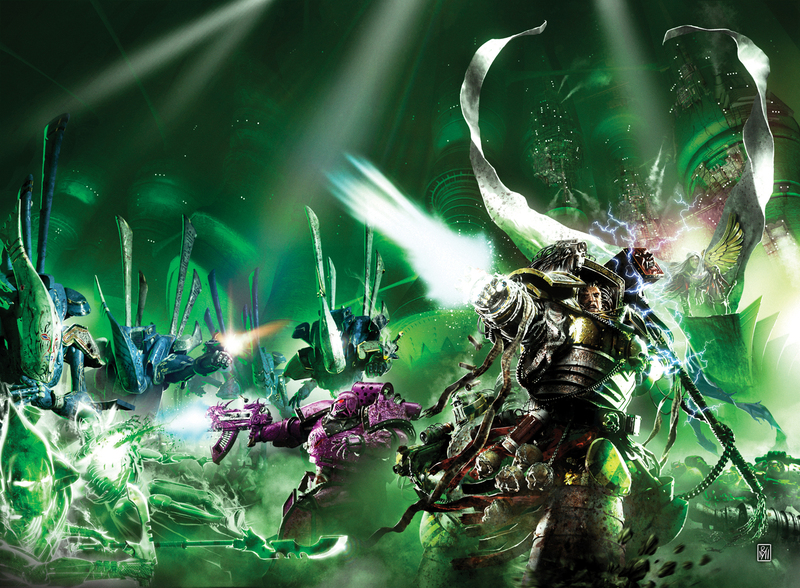 While we do get Space Marines in the form of the Outcast Dead, it’s really interesting to see another side of the Imperium, much like with Graham McNeill’s previous novel Mechanicum, which maintained itself largely without any recourse to the Astartes. In addition, we get a bit of a look at the Navigators, though without as much depth as the astropaths. It was a little confusing at times, as Kai was said to be in the employ of House Castana and to be working for the Ultramarines, and I couldn’t quite work out what was going on there. Of course, the details are largely irrelevant. I don’t think the Navigators have been shown previously in the series, however, so it was nice to have them show up for a bit. Indeed, we seem to get many fringe elements turn up in this book, as the Sisters of Silence make a brief but pivotal appearance at the final battle, as well as a couple of Custodians having some decent page-time. Finally, we get the elements of the mythical past in the form of two Thunder Warriors, who are all presumed dead following the Wars of Unity. I can’t quite decide if I liked this inclusion, or if it felt a bit like over-kill. Of course, while the fact that there were survivors shouldn’t be surprising given the breadth of the universe we’re dealing with here, I think I would have preferred them to be left out, and Babu Dhakal to have been a Space Marine washout or something. For all that I found it fascinating, however, I was also really quite disappointed with the book. 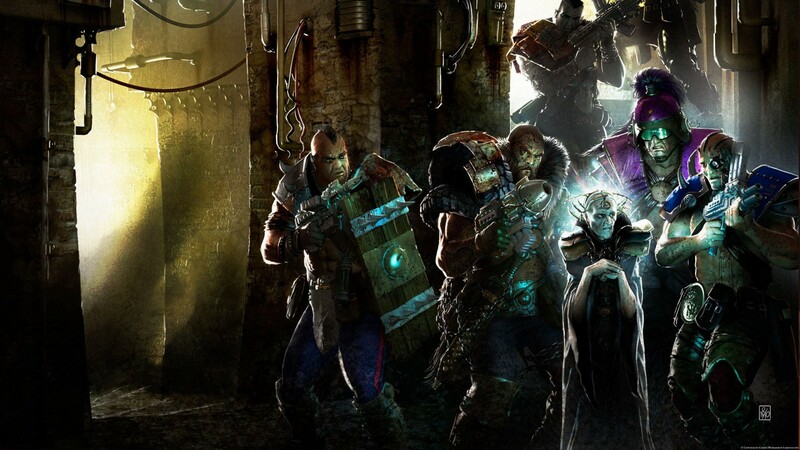 The story of the Heresy has barely advanced since the first couple of books in the series – with Nemesis providing the first proper step on the timeline since probably Battle for the Abyss. Instead of continuing the story, we’ve instead gone back a step to the psychic incursion of Magnus to warn the Emperor, which we saw in A Thousand Sons, six books prior. It’s not entirely all bad, don’t get me wrong, but I just feel like we’re not really getting anywhere right now. I get that the narrative is immense and epic and all the rest of it, but I’m used to novel series from the Star Wars universe that tell a complete storyline – even padded out quite considerably – within nineteen books…! I’m still more interested in what’s happened to Garviel Loken at the end of Galaxy in Flames! It was an enjoyable book for a lot of reasons, although the copy I have is absolutely riddled with typos, word omissions and, towards the end, printing errors. It is a little frustrating that we’re seventeen books into the series and we don’t seem to have advanced very far at all into the story of the Heresy, but I suppose that’s just how the series is being told.